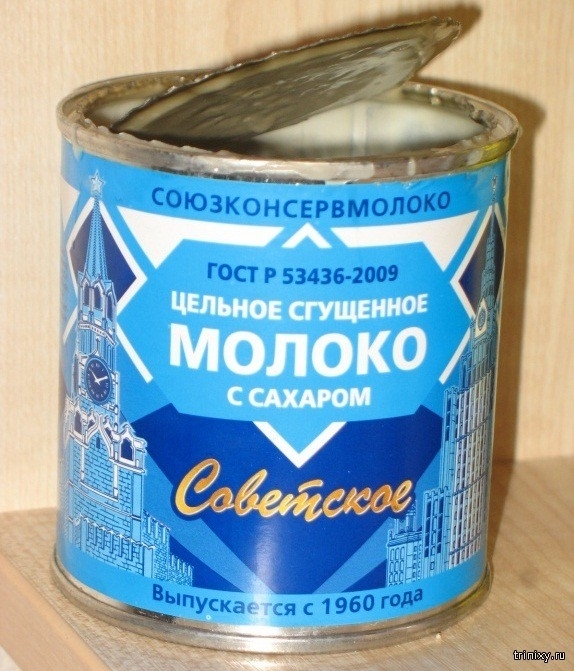 These are ten legendary Soviet foods every Russian who lived in USSR remembers well and even misses sometimes, despite these days supermarkets offer much more variety than in USSR. Every foreigner who visited USSR probably remembers them too. Starting with “legendary” Soviet ice cream. 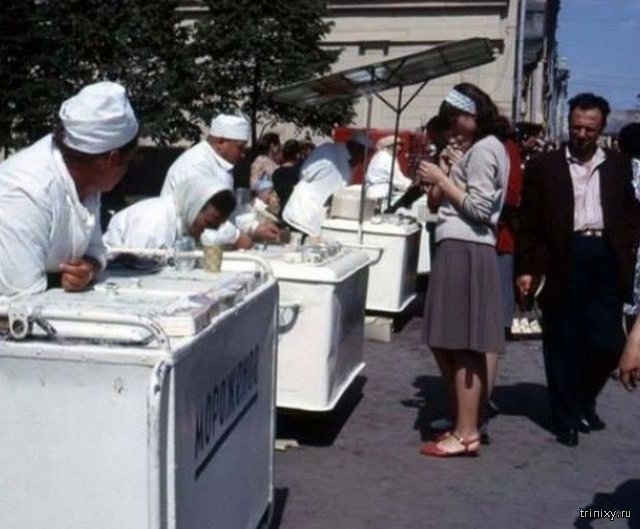 Modern Russian ice cream producers always try to find that “forgotten” taste and the best trick to attract attention to their product is to put a “that Soviet taste” on their ice cream packaging to exploit the nostalgic feeling of Russian older people. However they say the secret was pretty easy – just use natural non-dilluted products, no chemicals colorings or preservatives or taste enhancers – just milk, cream sugar and butter, nothing else added. Am I the only person that can only see 1 or 2 pictures in the last entries? do you see “continue reading” button? I have commented on this site before about how it can educate us Westerners. It is still a great site and thank you for the insight into how the other half of the ‘Cold War’ lived. Good luck to all your endeavours in making Russia one of the best countries in the world. My russian friend likes pickled tomatoes. After he eats the tomatoes he drinks the juice in the jar. I still remember pickled tomatoes in these large jars..